Mike gives a rough outline of what will be learned, and general philosophy regarding how the course is structured. 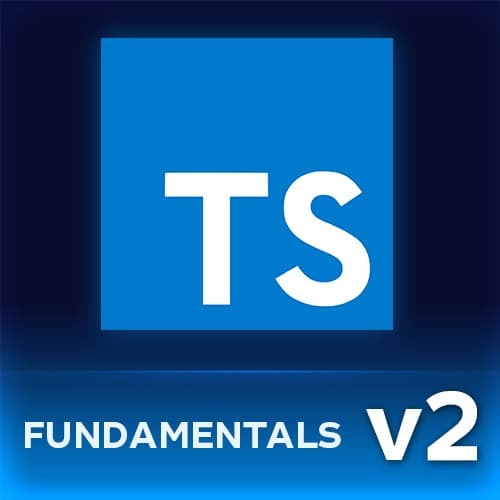 Mike navigates into the code and demonstrates various flags that can be added to the typescript command in order to run the code in various environments. Mike demonstrates how to set up the configuration file in TypeScript. Mike demonstrates how variables are typed in TypeScript. Mike introduces the separation of variable declarations and initialization, and speaks to type "any". Mike introduces how arrays and tuples are typed in TypeScript. Mike shows how to make properties on objects optional, and introduces the concept of an interface. Mike introduces types that can be either type, or must be multiple types. Mike introduces type systems, explains what object shapes are, and goes on to put the types in a hiearchy to explain how objects can be identified as more specific or broader types. Mike demonstrates how to create type annotations for the arguments and return values. Mike introduces a method to provide multiple function signatures. Mike demonstrates how lexical scope affects types in TypeScript. After giving an overview of what will be covered in the section, Mike explains what type aliases do for the user. Mike demonstrates how to utilize an interface to describe call and construct signatures. Mike explains how dictionary objects are typed in TypeScript, and pays special attention to a common error that developers fall into. Mike explains how to combine interfaces with other types. Mike introduces the dslint library, which allows for type test in TypeScript. Mike introduces how to create a class in TypeScript. Mike demonstrates how to use access modifier keywords to make the class initialization more succint. Mike demonstrates how to suppress errors, and how to use a getter to create a lazy initialization. Mike introduces an example of an abstract class. Mike live codes the solution to the exercise. Mike explains what generics are, and jumps into examples of how it allows the user to parameterize types. Mike discusses default types, and gives an example of how to utilize TypeScript's ability to infer what a type is. Mike introduces constraints and scope within the context of generics. Mike warns against using generics innapropriately, and gives an example of a bad use for generics, then answers student questions. Students are instructed to create two functions that map and reduce dictionary data using generics. Mike introduces the unknown and any types. Mike introduces user-defined type guards. Mike introduces unknowns, then reveals branded types as the safer alternative. Mike introduces bottom types by first discussing type never. Mike introduces the mapped types, type queries, and conditional types. Mike explains how Visual Studio Code's tool tips provides the user with information. Mike walks through the process of creating the program and getting the non-declaration source files. Mike demonstrates how to get the type checker in order to log documentation.